The Volcom Fawn Insulated Jacket would be good for someone that needs a longer fit in the torso and the arms. 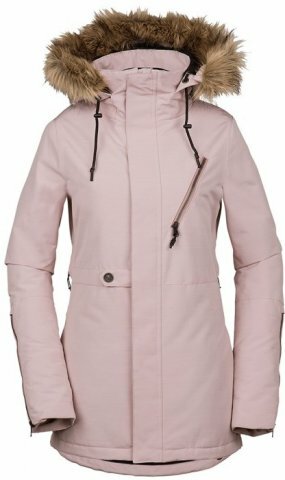 This jacket has some great functionality but you still get some street style so you can wear it off the mountain as well. This jacket has enough insulation to keep you toasty and a little waterproofing for some weather protection but might soak through eventually in wet snow conditions. This jacket has a lot of fun style details with a decent amount of snowboarding functionality as well. We try to get as many images of the Volcom Fawn Insulated Jacket, but forgive us if they're not all there.